Sometimes, when shooting my 10/22 suppressed, I reach over with my left arm, and with my thumb, I jam the bolt forward, stopping the gun from cycling after each shot. I find it to be quieter to the shooter. It really allows you to hear how the silencer performs. Even with a Polyurethane Buffer, the action is still relatively loud. So I thought I’d build my own. If anything, just to save my thumb. 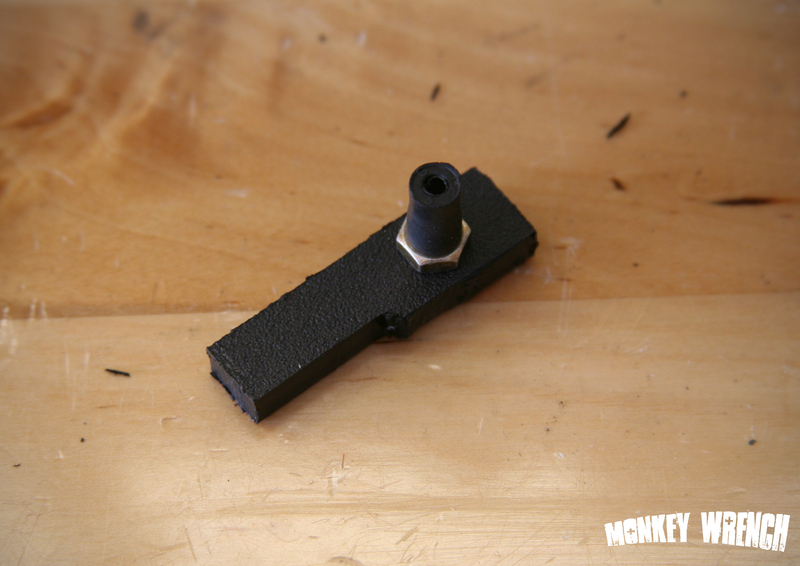 I had some black plastic material around, commonly used for gun-stands etc. 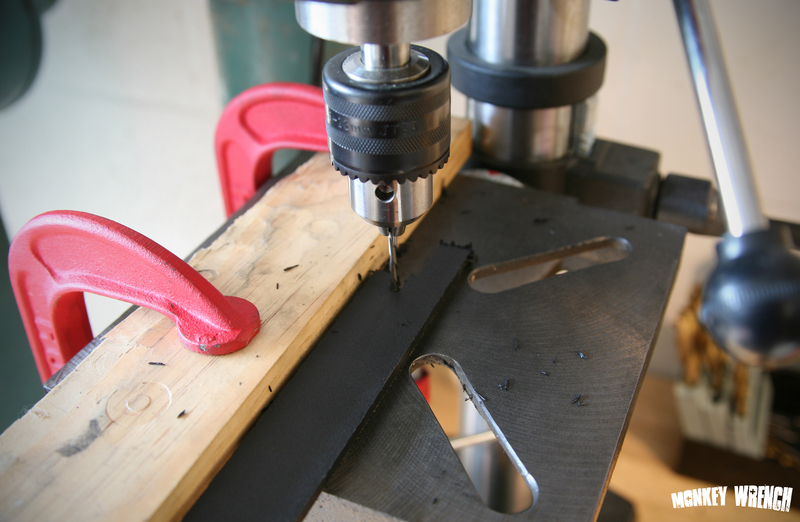 I took a strip of the material, and after carefully setting up my precision milling machine, I cut a rough prototype. A Dremel cutting bit at over 2000 RPM cut the material just fine. The unfinished prototype for testing purposes. Bolt Lock Device prototype installed in the receiver. 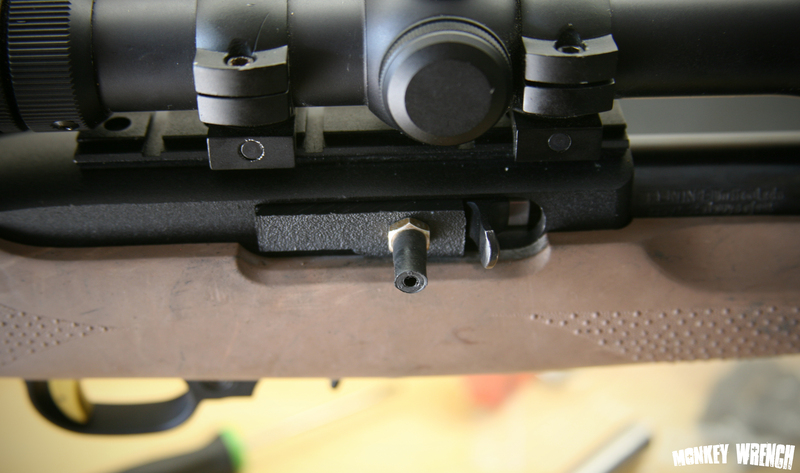 The Bolt Lock Device basically blocks the bolt from cycling back, turning the 10/22 into a bot action rifle. I think the Bolt Lock deserves more credit than it’s been given elsewhere. With a good silencer on a .22, the loudest thing really is the action. Whether the noise of the action is quieter or louder than the silencer, is really irrelevant. Even if there is not dB decrease from the Bolt Lock, the sound signature of the rifle is so much shorter without the action cycling, that for certain applications, a locked bolt makes it worth the trouble of manually cycling the gun. In a nutshell, while it may not make the gun any quiter on a dB meter, it makes the report much shorter, and to the naked ear, quieter. I think I will pursue the Bolt Lock further, and try and come up with a way for one handed operation, and for it to function without modifications to the gun. This entry was posted on June 21, 2011 by Dan. It was filed under 10/22, Suppressor and was tagged with 10/22, 10/22 buffer, silencer, Suppressor.